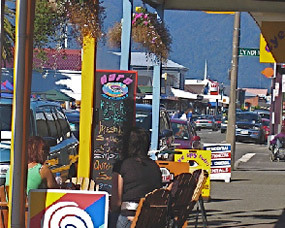 Approach Westport from the North - East through the magnificent Buller Gorge and from the South via the breathtaking coast road. 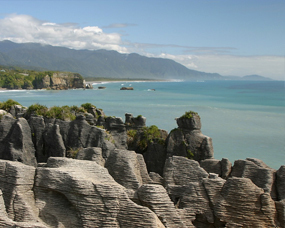 Set at the mouth of the mighty Buller River, Westport lies between the Paparoa Mountains and the Tasman Sea. Wide, desolate beaches and native bush abounds. Enjoy the magnificent sunsets over the sea. Stroll to cafés, galleries and bars. Take a walk through the domain and along the Buller river. Enjoy the Kawatiri Walkway, starting at the Yacht club parking area. Raining? Choose a DVD from our library or check out the films showing at the NBS Theatre. Visit Coaltown Museum or have a swim at Solid Energy Centre! 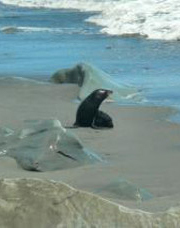 Visit the seal colony - you'll love it! Ride the Nile River rainforest train. Join an Outwest Tour for an off-road adventure! Visit the Denniston Plateau where you can see how the early mining settlers lived and worked. The Mackley Tour offers an exciting day into genuine widernesss areas of rugged terrain, river crossings, deep gorges and waterfalls. 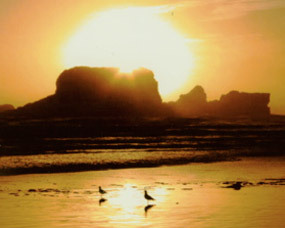 45 minutes south takes you to the rainforest walk of Trumans track, to Punakaiki and the blowholes. Afterwards, you can have lunch and a cup of coffee and walk a deserted beach. Head north to Karamea, take the magical walk to the magnificent limestone arches, cisit the caves and try out the first part of the Heapy Track. Unforgettable!